AIIMS MBBS Admit Card 2017: The admit card of AIIMS MBBS 2017 will be available from May 9, 2017. 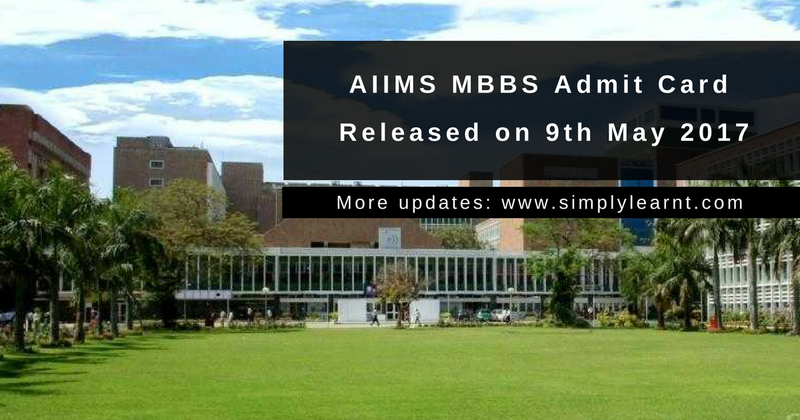 Earlier, the admit card of AIIMS MBBS 2017 were scheduled to be released on May 1, 2017. Now, you have to download the pdf of admit card and take a print out of it for future reference. Items such as wrist watches, cell phones, pager and calculators are strictly prohibited inside the examination hall.